The most complete woolly mammoth genomes assembled to date reveal the genetic diversity of the extinct species during its last years of existence. An international team used DNA from mammoth remains dated more than 40,000 years apart to generate the two genomes reported last month (April 23) in Current Biology. 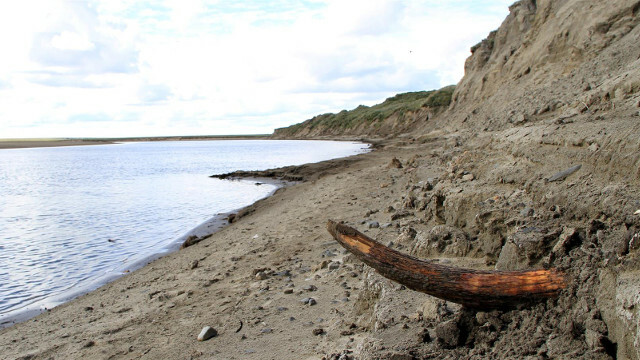 The younger mammoth genome was constructed using DNA from a 4,300-year-old molar found on Wrangel Island off the cost of northern Russia, where some of last mammoths lived. Since it’s estimated that woolly mammoths went extinct about 4,000 years ago, this sequence provides a picture of the population’s genetic health during its decline. The team found that 23 percent of the Wrangel Island mammoth’s genome consisted of identical swaths of genetic code inherited from both of its parents, suggesting its mother and father were related. By contrast, less than 1 percent of the older, Siberian genome contained such regions. “The individual from Wrangel Island, which was one of the last surviving woolly mammoths in the world, had a much lower genetic variation compared to the other, more ancient individual,” study coauthor Love Dalen, a geneticist at the Swedish Museum of Natural History told The Washington Post. An international group released two complete bumblebee genomes in Genome Biology last month (April 24), opening the door to in-depth genetic studies of these important pollinators. Since bumblebees are less advanced socially than honeybees, the researchers compared the new genomes to that of the honeybee species Apis mellifera in hopes of uncovering clues about the genetic basis of sociality. The researchers compared genes related to development, detoxification, immune responses, and gene regulation, and more. They found that genes believed to control social behaviors, as well are hormonal and immune responses are highly conserved between bumblebees and honeybees. “The catalogue of genes involved in immune defense responses is well conserved among different bee species regardless of their level of social organization,” study coauthor Robert Waterhouse, a geneticist from the University of Geneva and the Swiss Institute of Bioinformatics, said in a statement. In contrast, the microRNA (miRNA) profiles of bumblebees and honeybees were distinct. The bumblebees lacked 103 of A. mellifera’s 219 known miRNAs. 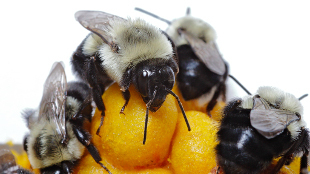 The researchers proposed that these unique miRNAs could be at least partially responsible for the social differences between honeybees and bumblebees. The largest collection of bacteriophage sequences ever analyzed for a single host species appeared in the journal eLife last month (April 28). The report is a result of efforts by 2,664 undergraduate students working under the Science Education Alliance Phage Hunters Advancing Genomics and Evolutionary Science (SEA-PHAGES), a program created by University of Pittsburgh microbiologist Graham Hatfull. The study focused on 627 bacteriophages harvested from the bacterial host Mycobacterium smegmatis, a close relative of M. tuberculosis. The students isolated, characterized and named the phages. By spreading the work across 81 institutions, the consortium was able to generate genome bank large enough to make conclusions about this large group of specimens. 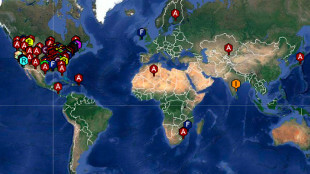 Clustering analysis revealed 28 distinctly related groups of phages. The phages also contained genes from other microorganisms, suggesting their genomes are always in a state of flux. The first full-genome maps of the grass carp, an important fish species commonly used in aquaculture, appeared in Nature Genetics earlier this month (May 4). Researchers from the Chinese Academy of Sciences and Sun Yat-sen University in Guangdong, China, used whole-genome shotgun sequencing to assemble genomes of one male and one female carp. The team also annotated 27,263 protein-coding regions within the female carp’s genome. The team’s analysis suggested that the grass carp and its closest relative in the Cyprinidae family, the zebrafish, diverged between 49 million and 54 million years ago, and that one of the grass carp’s chromosomes was likely formed by a linkage of two zebrafish chromosomes. 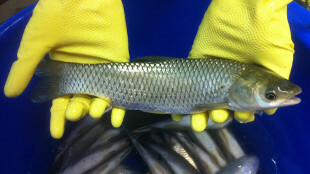 The researchers also identified genetic changes that occur as the grass carp transitions from a carnivorous to a plant-based diet during maturity. For example, genes involved in steroid biosynthesis were increased 32-fold in the liver over time. “The genome sequence of Cyprinidae fish species will provide key technical support to understanding of important developmental characters and genetic improvement of breeding varieties,” study coauthor Bin Han, a geneticist at the National Center for Gene Research in Shanghai, said in a statement.